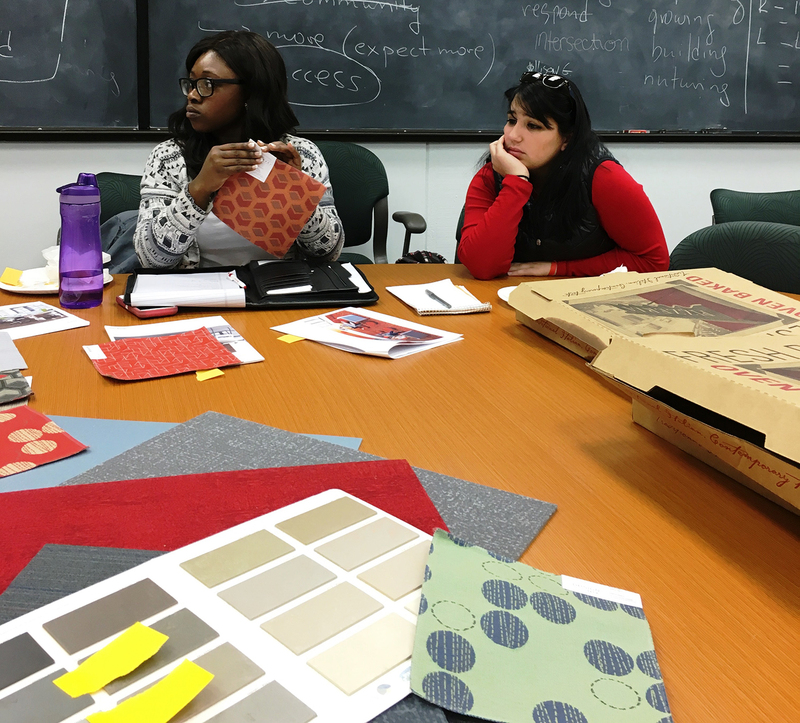 The Library continues to seek input from the academic community on its renovation project. 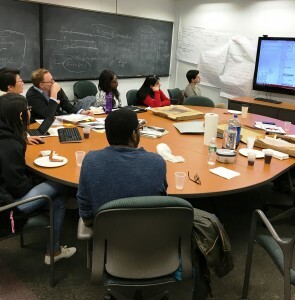 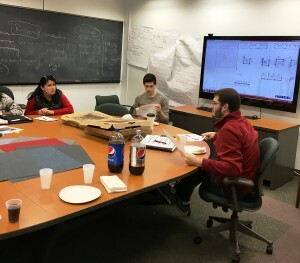 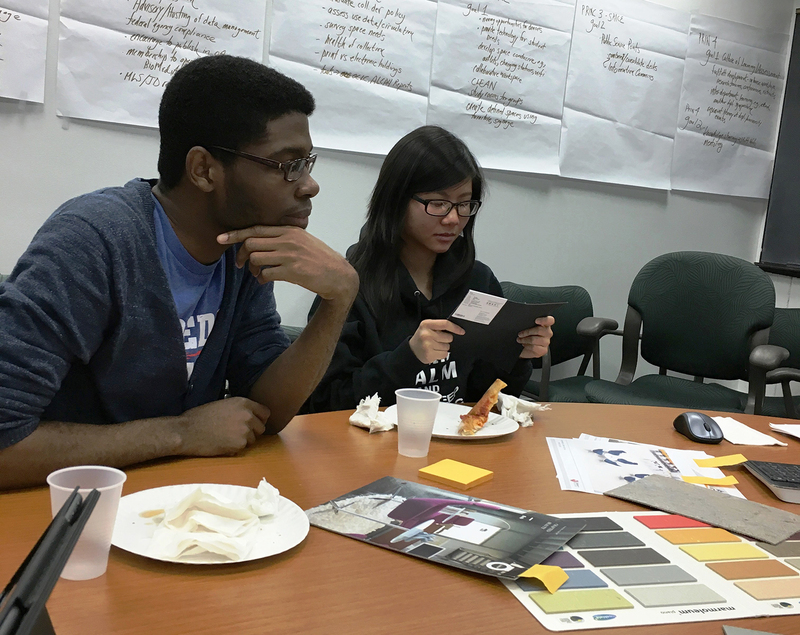 On October 19, 2015 a student focus group meeting was held for students to express their views on the library renovation. Lead librarians from the design team demonstrated a draft of the new design and encouraged students to give their input on space needs and expectations for a renovated library. 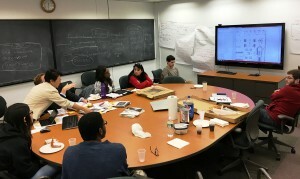 Below are a few images from the meeting.